Kate's Birthday Treat, an annual event since 2002 when I decided I should climb to the top of Kosziousko for my 50th birthday. Wonderful scenery, clear alpine air, great accomodation at the Lantern Apartmments, trout fishing and usually gorgeous weather...just watch out for march flies. 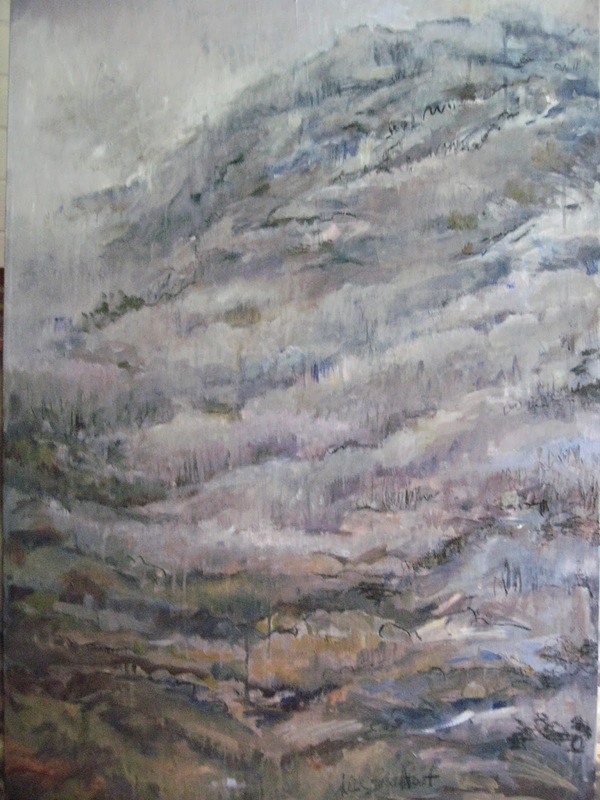 Balanced precariously on the apartment balcony I painted two large oil paintings of the view. 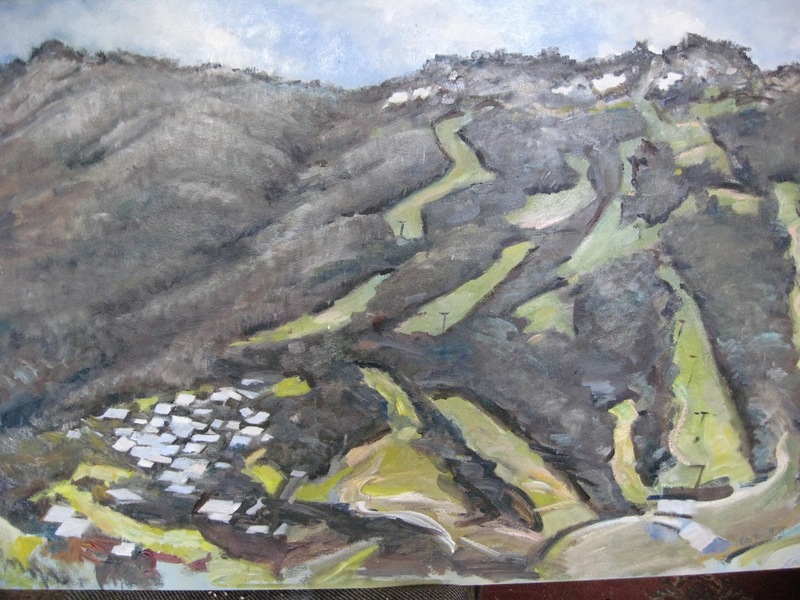 I have had a troubling time trying to get the grey version to "work" however the green painting of the ski-runs was an immediate success. What do you think?